One of the beauties of West Virginia is its mountains and high altitudes. It looks like “almost heaven” from the windows of our homes, but once you get out on the roads, it can seem quite the opposite when snow, ice, and foggy conditions make driving treacherous, often causing vehicle wrecks and injuries. We all have pressing obligations which make going out on the roads, no matter how bad the conditions, seem mandatory. Driving hazards are increased exponentially, though, as the temperature drops below freezing and can make even the simplest commute extremely dangerous, causing multiple-car crashes. A recent example of this was when a snowstorm in late March 2014 caused whiteout conditions in Berkeley County near Martinsburg, WV causing more than 40 vehicles to collide in two separate incidents on Interstate 81 near Falling Waters, West Virginia, killing two people and injuring seven others. The two fatalities occurred on the northbound lane, and the seven people were injured in the accident on the southbound lane of I-81. A total of 44 vehicles were involved in this traffic pileup, including several tractor-trailers, and 15 to 20 vehicles were significantly damaged. The injured were taken by helicopters to Berkeley Medical Center in Martinsburg. The vehicles were rerouted to Highway 11, but it was slow going due to the high number of vehicles and people making their morning commute on the interstate. 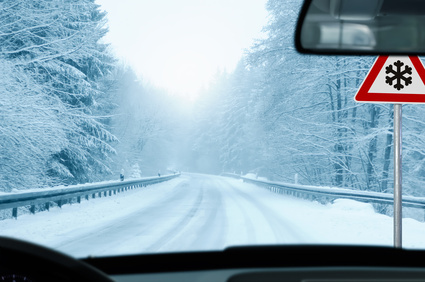 Challenges and risks unique to the season – which this year has extended much longer than expected — require heightened vigilance, and drivers must adjust their driving to meet the demands of the road. In a multi-car pileup, fault may be harder to prove because of the multiple vehicles involved. Contact your insurance company right away and provide information about the effects of the accident on your vehicle and your health, and any information you gathered from other drivers at the accident scene. If you have any reason to believe you were injured and haven’t seen a doctor, go immediately. Sometimes the adrenaline your body produced immediately after the accident can mask symptoms which can later cause you a great deal of pain, and early treatment can eliminate a lot of future medical problems and pain. Often, early intervention with physical therapy can eliminate a need for surgery later – so get a medical opinion right away. Follow all doctor’s orders, document everything, and keep records and receipts from all medical office visits, as well as receipts from all expenses related to the crash. If you have been severely injured, it is important to your claim for you to keep personal notes about how these injuries are affecting you and your family on a daily basis. If your damages were small and you weren’t seriously injured, chances are you can settle your claim yourself. If you believe your insurance adjuster has not treated you fairly or considered all the facts and expenses related to your claim, you may need the help of an experienced car accident attorney. Claims adjusters are trained to minimize claims, so to obtain your case’s full value, a strong advocate on your side can be your best asset. Questions? Call today: 304-594-1800 or after hours, 304-216-6695. Source: WHSV.com: “2 Killed In I-81 Pileup During Whiteout in W.Va.” March 26, 2014.